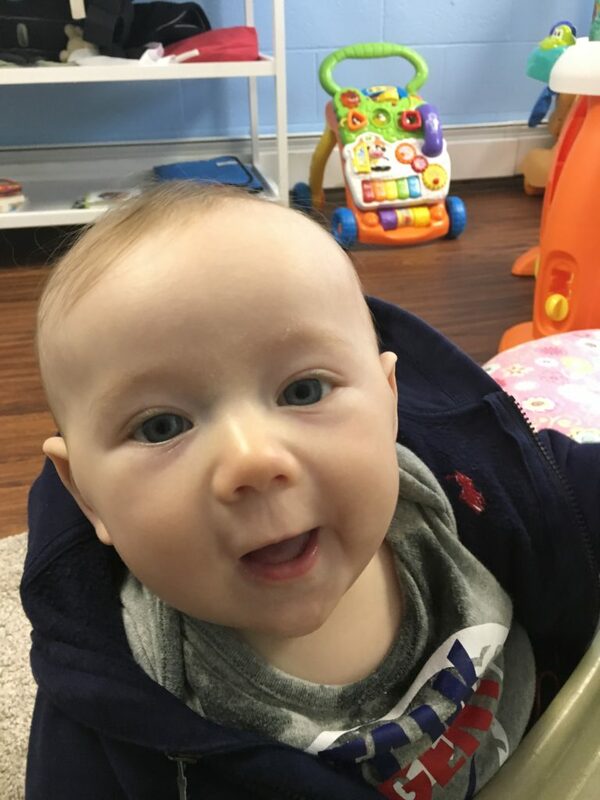 Our babies are cared for by friendly, enthusiastic, and nurturing caregivers in a peaceful, soothing, and joyful environment. Each baby’s daily needs are addressed with smiles and frequent eye contact. Loving interaction between baby and caregiver is given during diaper changes, feedings, rest time, and playtime indoors and outdoors. Our early childhood educators talk to each baby about what they are seeing and experiencing thus encouraging their vocabulary development. Giggles, singing, poetry reading, book-reading and classical music are all the wonderful sounds that can be heard in our nursery. There is loving and nurturing cuddle time for each baby and important individualized attention is given. and comfort is our first priority as we provide you with a safe and secure program.